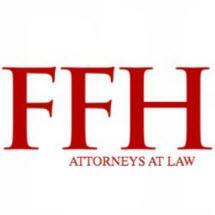 At the law firm of Frasier Frasier & Hickman, LLP, we have been proudly and passionately advocating for individuals and families throughout northeastern Oklahoma for more than 70 years. Our 11 lawyers and highly competent staff are committed to providing outstanding legal counsel and fearless litigation on behalf of our clients' best interests. Our personal injury attorneys help injured individuals obtain the full and fair compensation they deserve for negligence-related damages and suffering. We handle motor vehicle accidents, premises liability, products liability, medical malpractice and more. We also assist those injured on the job to receive workers' compensation benefits, and we aggressively advocate for the victims of workplace discrimination. In addition, Frasier Frasier & Hickman, LLP, is one of the top-ranked law firms in the country in the AFL-CIO's Union-Plus Legal Services, representing clients in family law, labor law, criminal law, estate planning and other matters. No matter what the legal concern, we provide personal attention and service to each and every client. Our lawyers personally answer the phones from 7 a.m. to 7 p.m. because we believe every client should have access to an actual attorney, not merely a paralegal or assistant. We are a family business, run by a third-generation lawyer, and as such our practice is dedicated to serving people, not corporations. Schedule a free initial consultation by calling our convenient, downtown office in Tulsa at 918-584-4724 . Credit cards are accepted. For more than 50 years lawyers from, Frasier Frasier & Hickman, LLP, have fought on behalf of the people of Oklahoma. In our society, achieving justice is not always easy. Have you or a loved one suffered a serious injury in an accident caused by the negligence of another party? The loss of a loved one due to another person’s negligence is something no family should ever have to experience. Oklahoma law requires that employers provide insurance coverage for employees who are injured at work.